More than 200 young singers will be performing on 25 January, as part of the AC Academy Spectacular! They will be backed by a large professional band made up of top West End musicians and professional singers. The project is a partnership between AC Academy, SoundStorm (lead partner in Bournemouth and Poole Music Education) and Lighthouse. 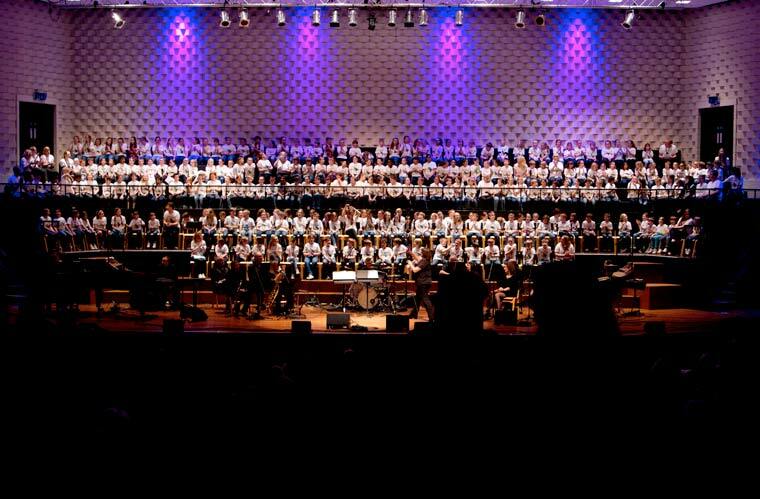 Following the Poole concert, many of the schools will go on to perform at the Royal Albert Hall in March as part of AC Academy’s national gala. For SoundStorm, the concert is the first in the series of major concerts it is helping organise in 2018, which will see further appearances by Bournemouth and Poole students at the Royal Albert Hall and Birmingham’s NEC later in the year. The Participating schools are: Baden Powell & St Peter’s CE Junior School; Bishop Aldhelm’s CE VA Primary School; Canford Heath Junior School; Haymoor Junior School; Oakdale Junior School and Winton Primary School.